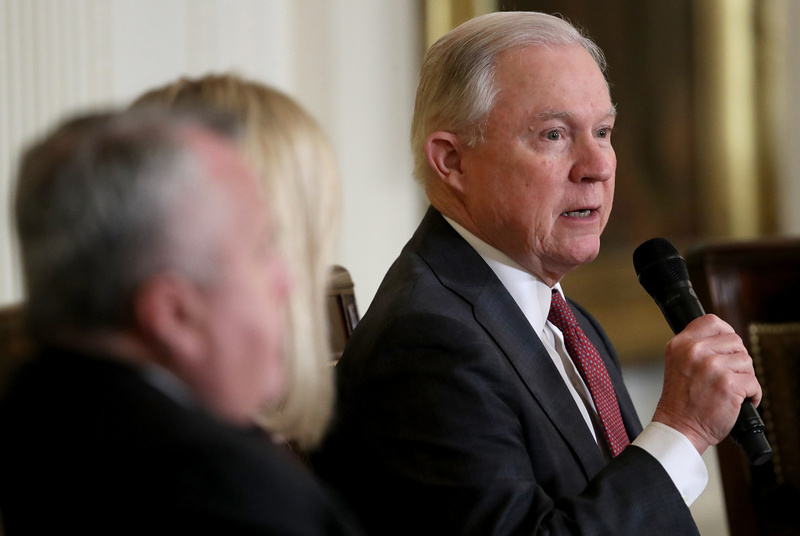 U.S. Attorney General Jeff Sessions speaks at a White House Opioid Summit March 1, 2018 in Washington, DC. The Justice Department is suing CA over three new laws designed to limit federal immigration enforcement. The federal government claims the laws make it more dangerous for ICE agents to do their jobs and more dangerous for CA residents exposed to criminals in the country illegally. What are the arguments on both sides, and who would likely prevail?